This simple device from LRS has been designed to integrate a two-way-radio system with a wide range of external devices for lone workers and security solutions. The unit can be configured to receive trigger signals from two-way-radios and activate external devices such as autodiallers, alarm systems, lights or to notify wireless radio users of external triggers such as alarm activations, switch inputs or other incidental operations. A complete solution for lone working employees on site or other uses such as off-site alarm monitoring. More recent updates to the RSU1 include the ability for a radio (with the use of the RSU1) to actually send a message to on-site paging systems and pagers. It is possible with the RSU1 therefore, to send a message when there is a man down to the emergency team directly to their pager for instant notification of any health and safety or first aid issues with employees. Our solutions for paging are all made by LRS and enhance the features available on the RSU1 quite considerably in this area of communication. The unit is capable of paging a group of recipients depending on how the programming requirement is implemented and of course on what the client needs. There is also an option to page all on-site pagers from the RSU1. The ability to use paging systems in this way with two-way radios is unique to our designs. As stated other unique interfacing options are available so if you have very specific and unique needs then we can usually accommodate special requests when making a custom product for a client. We specialize in making great communications solutions by incorporating the RSU1 in to our systems for complete flexibility. Using the RSU1 with most external triggering is not fantasy and we have successfully interfaced the unit in to many specialised systems on client sites. Because of the interface options available to us it is unlikely that we could not connect successfully to your systems. Please contact us directly for full details. Lone Worker Monitoring: When integrated with two-way radios the RSU1 unit can be set to automatically telephone and notify up to three off-site staff in the event of an emergency. Alarm Panel Monitoring: Connect to an alarm panel to provide instant alarm notification. After Hours Reception Monitoring: Customer service staff can easily be notified to attend to the reception as guests arrive either through the 'ring for attention' or other means. Staff Protection: Panic buttons, footswitches, door sensors etc. 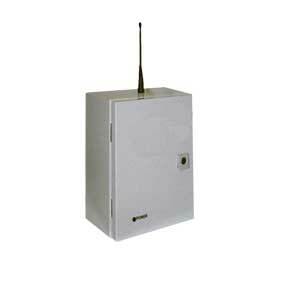 can be integrated to alert security staff in other parts of the site.